Think back to jobs you’ve had in the past. You’ve probably always known exactly who your boss was, right? That’s because many businesses take a top-down approach when it comes to organizational management. The flow of the authority starts at the top of the organization and works its way down. But what about a business that has multiple projects happening at the same time, with employees answering to several leaders? What’s the best way to visually represent who is accountable to what area of the organization, and moreover, who has decision-making power? You might want to explore the human resources matrix as an option, an at-a-glance representation of the ongoing projects within different teams and the major participants in each project. A human resources matrix also clearly lays out the chain of command on an assignment-based level, encouraging employees to work cross-functionally to achieve goals. 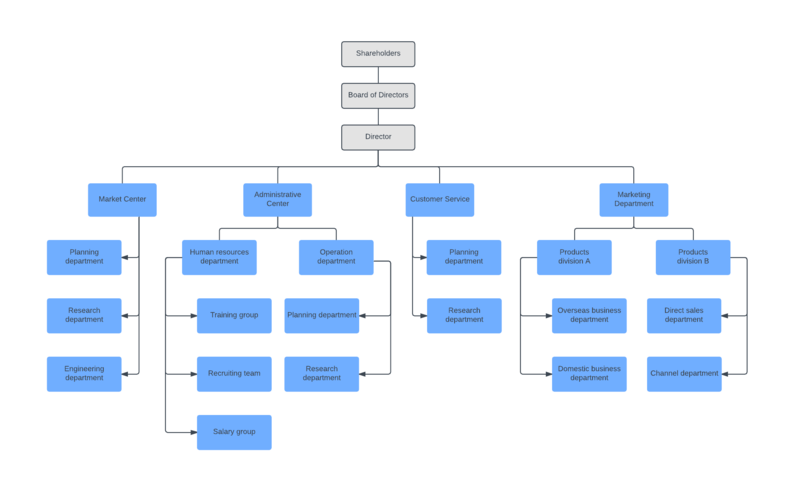 Learn more about the benefits of this organizational chart—we’ve even included some HR matrix examples. What is a human resources matrix? A human resources matrix is beneficial for organizations with employees reporting through more than one channel or to more than one leader. It’s called a matrix because it is laid out in a grid or matrix pattern. For example, an ad agency that employs writers, designers, and developers likely has team members working on a handful of different projects at the same time. In this instance, an organizational matrix shows at first glance who has ownership over what projects and which stakeholders are involved. Notice how team members are organized under their functional leaders but may be assigned additional work by the manager of a specific project. Under the fluid and flexible style of a matrix, resources are allocated where needed and changes can be made when priorities shift. A matrix structure is best used in situations that call for daily collaboration between mid-level management and employees on different teams or when the coordination can’t be achieved through informal or organic means, like one-off impromptu meetings or quarterly syncs. By clearly defining channels of communication and accountability, the matrix structure helps push work through the pipeline unimpeded. 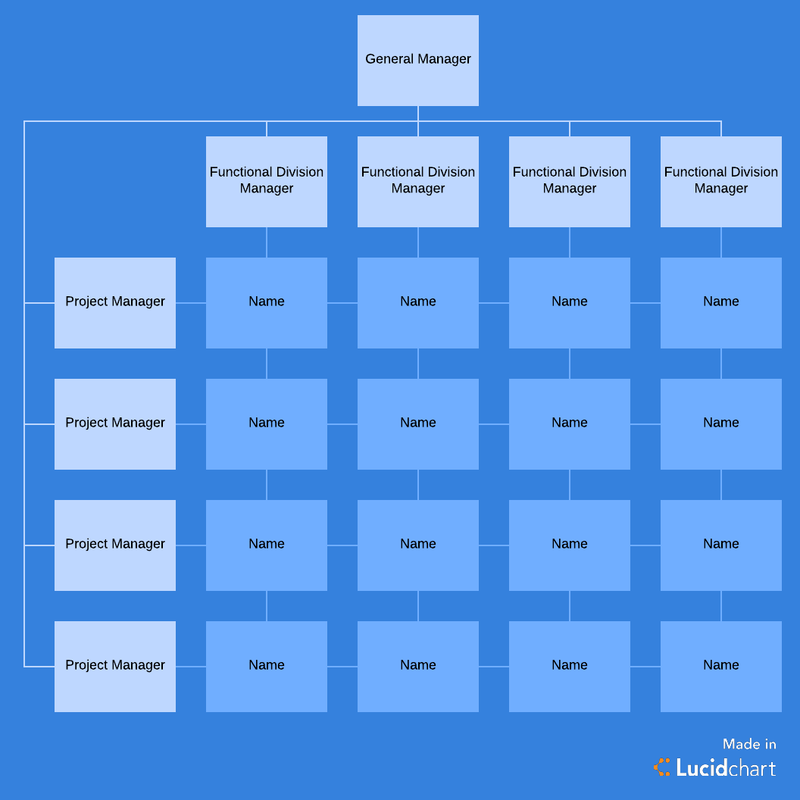 Get started on a project org chart with this easy-to-use template from Lucidchart. The matrix approach sidesteps the silo effect that can result in a top-down approach to management because various touchpoints exist. The matrix streamlines the approval process, ensuring projects don’t get held up in a single-approver bottleneck. With this type of cross-functional management, various areas of the organization interact on a regular basis. This matrix structure also allows individual team members to manage their own progress and growth while balancing the objectives set by their various managers. Employees have more autonomy to make decisions in real time, though they must take it upon themselves to interact with other teams to solve issues that arise to maintain that autonomy. While the human resources matrix can provide transparency in a busy organization, it isn’t a fit for every business or situation. Successfully implementing and running a matrix structure takes extensive coordination and requires a dedicated team to ensure its continued success. The human resources matrix could open up the potential for conflict when employees answer to more than one direct supervisor or manager. By its nature, the human resources matrix presents many opportunities for clashing opinions. If you apply the human resources matrix to an organization, you’ll need to establish a clear process for handling conflict. For example, if a designer and copywriter disagree on a headline or image placement, protocol should encourage team members to talk through the issue to reach a compromise, rather than escalating the issue to upper management. If the employees cannot reach a compromise, maybe an A/B test is in order. Use components or suggestions from both employees and test their work against each other. Put the appropriate analytics in place to measure which version of the piece performed best. An HR matrix template can increase productivity and transparency across your organization. If your company is considering restructuring to adopt a human resources matrix, start small and scale up as needed. There is no one-size-fits-all solution when it comes to a human resources matrix. 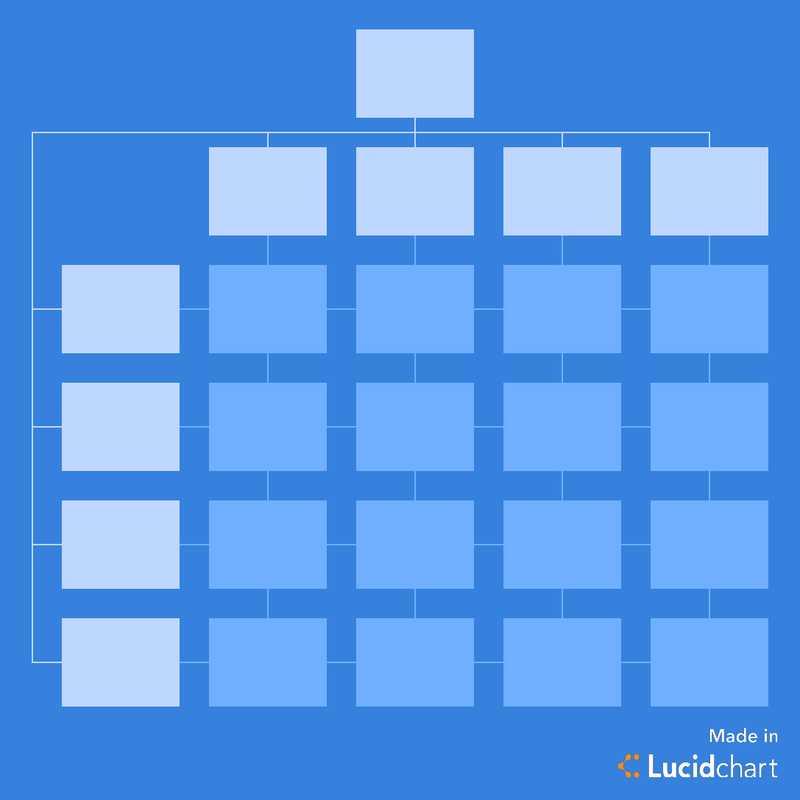 Use our HR matrix template in Lucidchart to customize and visualize the right organizational structure for your company.